South Park’s never been afraid to pull it’s punches when it comes to ripping into celebrities, religion, politics or anything really but this next season they’ll be taking on the controversial Black Lives Matter group. 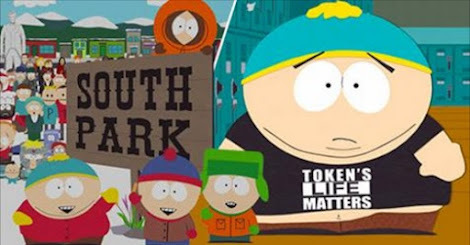 The latest teaser, called Colin Kaepernick National Anthem, hints at the show’s creators Matt Stone and Trey Parker ripping into American footballer Colin Kaepernick who refused to stand during the national anthem in a show f solidarity with black people in the U.S.
They’ve also released an image of the hate filled Eric Cartman wearing a shirt bearing the slogan ‘Token’s Life Matters’. Last season Try and Matt tore into politically correct frat boys (woo woo!) and gentrification which ended in typical South Park style, with the town’s moronic citizens destroying the Whole Foods. No doubt the cheeky lads will also be taking a pop at the farce that is the American presidential election, so Burnie, Hilary and of course the brash Donald Trump could all make an appearance. The recent trolling of the Ghostbusters girls and the rise of the Internet troll appears to be another topic that season 20 will address in the show’s usual controversial style. Surprisingly the show will also address the recent wave of nostalgia sweeping the U.S. and western world, demonstrating the ways that nostalgia can be poisonous as people move from ‘remember Star Wars?’ to ‘remember no Mexican’. 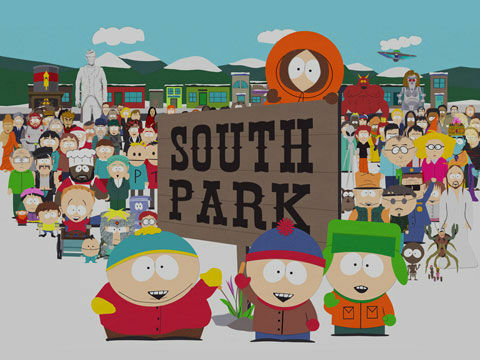 No matter what topics South Park covers we can always rely on the show to be a wonderful combination of offensive and hilarious!